January and February can be tough months for finding and catching bass, but this is one of the best times for fishing shallow Bogue Homa Lake. January and February can be tough months for finding and catching bass, but this time is my favorite for fishing shallow Bogue Homa Lake. There aren’t many places for bass to hide, and they’ll stay in water depths only a few feet deeper than the shallow water in the channels. That’s why the bass tend to school up this time of the year, making them easy pickings. I mainly use three strategies and three lures. 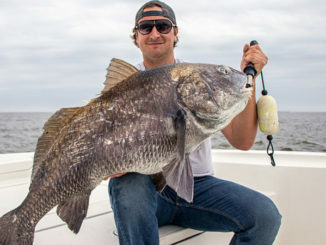 I’ll fish a ½-ounce black/blue Mann’s Stone Jig with a black/blue crawfish trailer on 23-pound White Peacock fluorocarbon with a Shimano Curado 6.5:1 reel and a 7-foot-6, medium-heavy Expride rod in the big, underwater cypress tree stumps scattered on the channel edges. The water will be somewhat stained, and you may not be able to see the stumps, but I can spot them with my Garmin SideVu optics and will make several casts to each stump. I’ll hold my boat in the channel, keeping it at a 45-degree angle to the channel, cast over the stump, allow the jig to go to the bottom and ease it back toward the boat until it reaches the stump, pulling it slowly up to the top of and over the stump, before letting the jig fall straight down off the stump. Below the stump will be the root system of the cypress tree that’s been washed out over the years where often 2- to 3-pound bass will be holding. 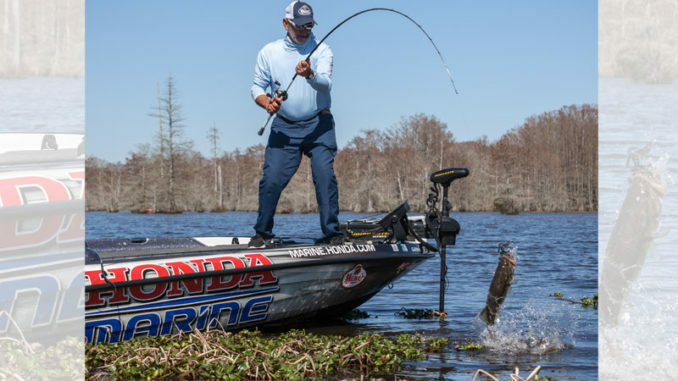 When you feel a bite, you must set the hook hard to get the fish out of that root system and headed to the boat. You can possibly catch a 9-pounder or better in January. If you have a very good day at Bogue Homa, you may take a couple of bass that weigh 5 pounds or more with this system. 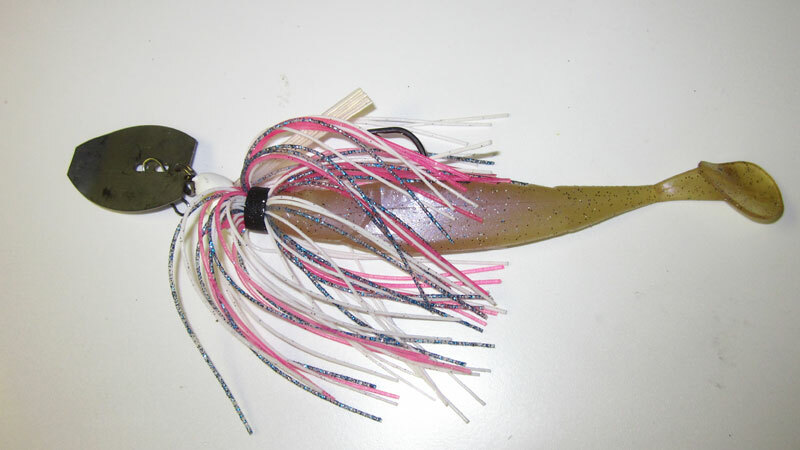 After I’ve worked a stump thoroughly with my jig, I’ll repeat the same number of casts with a 1/8-ounce shaky head jighead and a Mann’s Jelly Bug in junebug or black/red flakes. 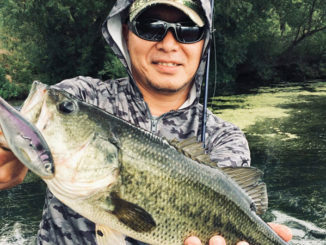 Fish for bass on the channel swings, since generally four or five big underwater cypress stumps where bass tend to congregate will be within 30 yards of each bend. I’ll change rods, reels and lines to fish for bass with this rig, including using a 7-foot-2, medium-heavy spinning rod and reel spooled with bass braid and 4-foot leader of 8-pound fluorocarbon. 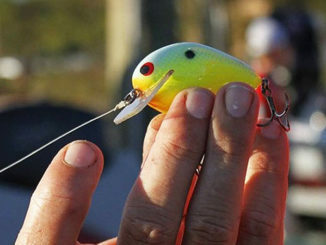 If bass aren’t very active, or if I catch two or three bass around a stump, I’ll fish the Jelly Bug again to try and catch a bass that hasn’t taken the jig. I’ll fish this like a Texas-rigged worm, slowly dragging it over the bottom, up an underwater stump and over the top of the stump and allowing it to fall off the stump. I like a 3/8-ounce bladed jig in two colors — a black/blue with a black/blue trailer or a green pumpkin with a green pumpkin trailer — on 30-pound bass braid and a 7-foot-3, extra-heavy Expride rod. These 2- to 3-foot deep channels have drop-offs 4½ to 5 feet deep. 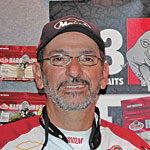 I’ll throw the bladed jig at the stump, with the bass generally taking the bait as the line starts to come over the stump, or when the bladed jig drops off the stump, depending on how aggressive the bass are. Fishing this bait can be aggravating, due to the bladed jig hanging up on the stumps, but this lure catches numbers of very big bass. At the end of January, and if our area gets a break in the weather — even a slight warm front, bass (mostly females) will move out of the channels and into the lily pad stems and coontail moss. If you slow-roll a bladed jig through the stems and over the tops of the moss, you can catch big females preparing for the spawn. Also, in the lily pad stems and the moss, the Baby 1-Minus in fire orange with a black back on a 6-foot-10 medium rod and 30-pound bass braid catches bass. 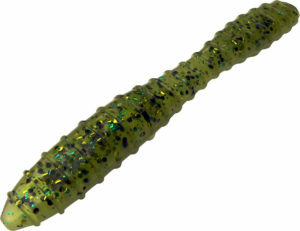 I’ll need a 6:2.1 Curado K reel to retrieve this lure slowly. 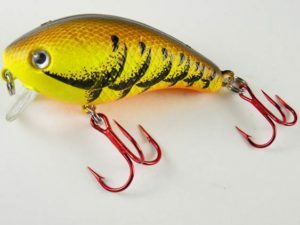 Since some of the underwater stumps will come close to the surface on the edges of the channels, be sure to fish this small crankbait right by those stumps you can see. 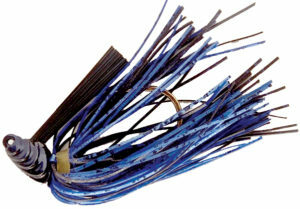 January is a big bass at Bogue Homa, so plan to be there and get you some.